This creepy clown was tough. I started it several times, only to stop and start over with a different composition. 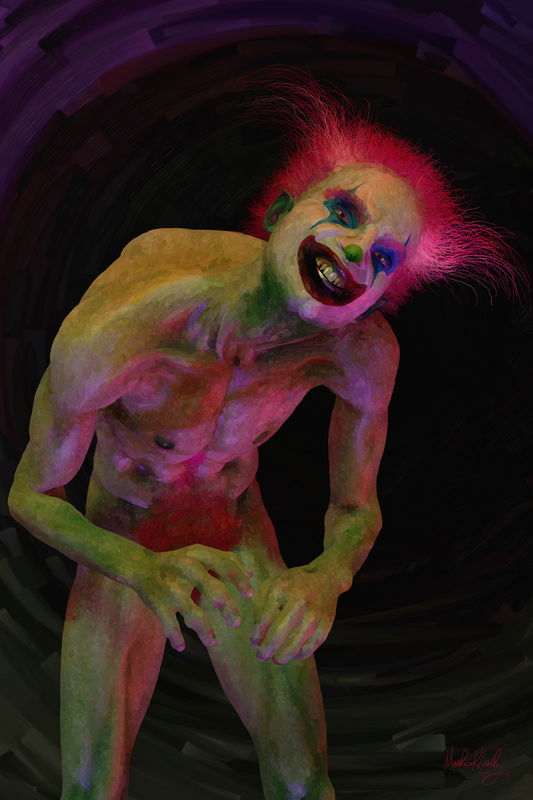 Since clowns are still quite popular, thanks to IT and AHS, I thought it was about time for a new creepy clown. This year it is somewhere between a Gollum and zombie clown. This is my early Halloween treat.